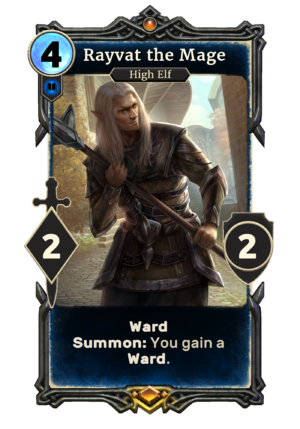 Rayvat the Mage is a unique legendary Intelligence creature card. It is part of the Isle of Madness story set. It acts as a double card in your deck with Tavyar the Knight. "I do hope that troublesome knight isn't around." "You've messed with the wrong man."